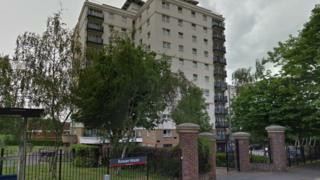 A man has been charged with murder following the death of a woman found with knife wounds at a flat in Bristol. The body of Tracy Bowen, 52, was found at Rowan House in Bishport Avenue, Hartcliffe, on 25 November. A post-mortem examination confirmed she had been stabbed to death. Steven Jones, 35, from Rowan House in Bishport Avenue has been charged with murder and is due to appear before Bristol Magistrates' Court on Monday. A second 35-year-old man who was arrested on suspicion of murder has been released without charge. A 35-year-old woman remains in custody after being arrested on Saturday.